LOS ANGELES & DENVER--(BUSINESS WIRE)--Butterfly, a Los Angeles-based private equity firm specializing in the food sector, today announced it has acquired Modern Market, a farm-to-table fast casual restaurant company. Terms of the transaction were not disclosed. 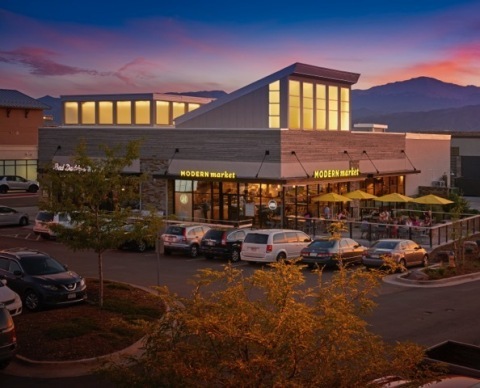 Modern Market currently operates 28 fast casual restaurants across Colorado, Texas, Arizona, D.C. and Maryland that serve healthy, high-quality, sustainably-sourced, scratch-made fare at an attractive price point. Modern Market’s menu features a variety of protein-centric plates and bowls, garden fresh salads, toasted sandwiches and brick oven pizzas served in a comfortable and highly-convenient format well-suited to meet the rapidly-changing demands of the modern restaurant consumer. The company was founded in 2009 by Co-Founders and Co-CEOs Anthony Pigliacampo and Rob McColgan and is based in Denver, Colorado. Kirkland & Ellis and Davis Wright Tremaine acted as legal advisors to Butterfly and Modern Market, respectively. Piper Jaffray acted as financial advisor to Modern Market. Butterfly Equity ("Butterfly") is a Los Angeles, California based private equity firm specializing in the food sector, spanning the entire food value chain from "seed to fork" via four target verticals: agriculture & aquaculture, food & beverage products, food distribution and foodservice. Butterfly aims to generate attractive investment returns through deep industry specialization, a unique approach to sourcing transactions, and leveraging an operations-focused and technology-driven approach to value creation. 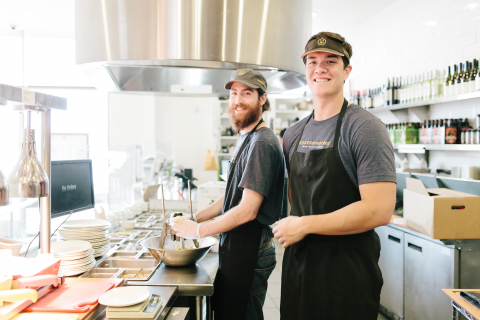 Modern Market is a farm-to-table fast casual restaurant company that operates restaurants across Colorado, Texas, Arizona, D.C. and Maryland serving healthy, high-quality, sustainably-sourced, scratch-made fare at an attractive price point. Modern Market’s menu features a variety of protein-centric plates and bowls, garden fresh salads, toasted sandwiches and brick oven pizzas served in a comfortable and highly-convenient format well-suited to meet the rapidly-changing demands of the modern restaurant consumer. The company was founded in 2009 by Co-Founders and Co-CEOs Anthony Pigliacampo and Rob McColgan and is based in Denver, Colorado. For more information, visit www.modernmarket.com.